We had picked him up (or, more accurately, he had attached himself to us) at one of the stalls where young lads grill freshly caught fish for tourists at bargain prices which are still several fold the price a local would pay direct from the fishermen (which, admittedly is still several fold cheaper than my local supermarket in the UK). 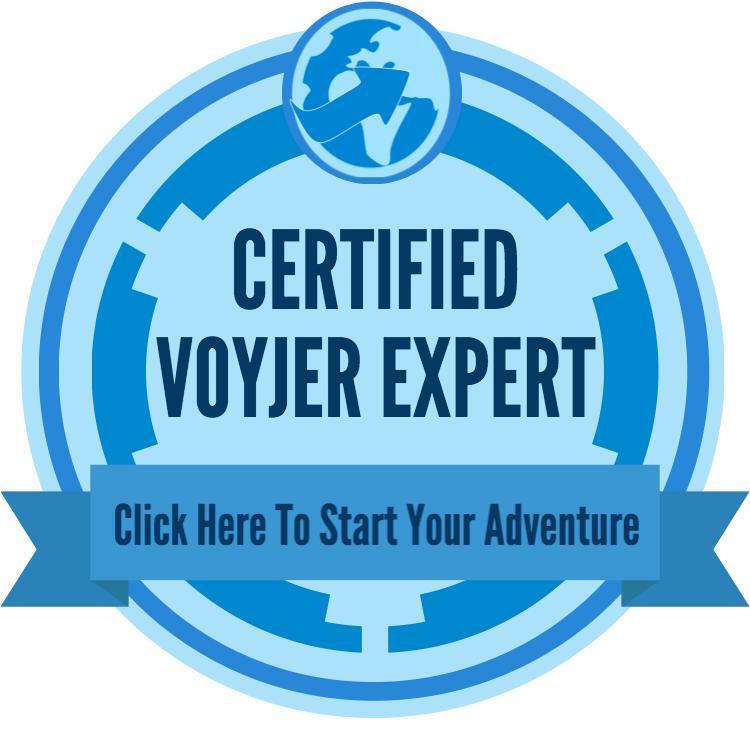 So far, he’d given us an uninformative tour of the port, where I picked my way around salty puddles of fish guts in my maxi dress and flip flops, and extracted a juice and a coffee from us for his (minimal) efforts. He wasn’t maybe the most promising local contact, but it was day 2 of the holiday and he was all I had so far…. Soon the Gnaoua Festival would start and I would be too busy enjoying the gigs to have time for my tile quest. He mumbled a Medina rumour about a guy who had restored an old house down in the Mellah (the Jewish quarter) using reclaimed tiles from decaying and demolished houses, but his connections were unconvincing. He promised more information if we met him in one of the popular pavement cafes that evening. The prospect of buying more drinks for him as he whiled away the time between selling fish and smoking hash was not an inspiring one, so we set off into the Medina on our own quest for tiles. 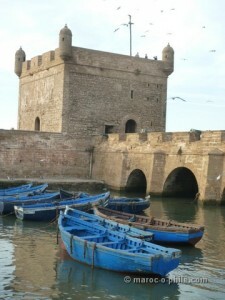 I had discovered Essaouira 10 years previously during my first trip to Morocco. On that journey the length and breadth of the country, I had been inspired by the handicrafts, architecture and interior design of the souks, madrasas, riads, restaurants and palaces we had visited. 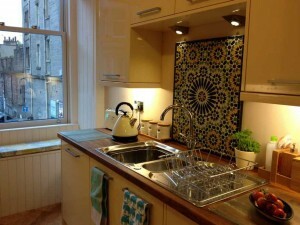 During the intervening 10 years, I had been living in rented accommodation across Continental Europe and now, having finally moved back into my own flat in Edinburgh, was keen to reflect that Moorish design in my newly renovated kitchen. I wondered whether it would really be possible to track down true artisans producing the kinds of tiles and mosaics I had seen in palace courtyards and palatial restaurants in the 21st century. I had read, for example in Tahir Shah’s “Caliph’s House”, set in Casablanca, of the local zellij artisans installing mosaics like in the times of the Moors, but would I really find someone to make something similar which was transportable back to the frozen North? 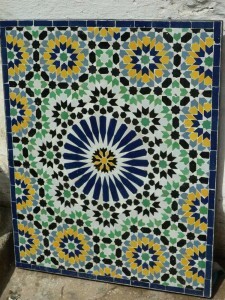 We wandered through the Medina, finding the occasional tile shop, or the odd be-turbaned man with a couple of tiles on his stall to complement his berber silver jewellery, but the colours were watery and the designs un-imaginative. I couldn’t visualise how they could be incorporated into my new kitchen. We meandered through the labyrinth of the souk and down towards the run-down quarter of the Mellah. We stumbled from the narrow, shadowy streets of the old Medina into a startlingly bright, sunny square, on the opposite wall of which were lined up mosaic table tops, water features and displays of tiles. Next to them was a door half hanging on its hinges, behind which was a small, dusty, ill-lit atelier where a dusty, deeply concentrating young man was painstakingly clipping tiles into tiny pieces with hardly as much as a bare bulb to light his work. On the door was scrawled a mobile number. 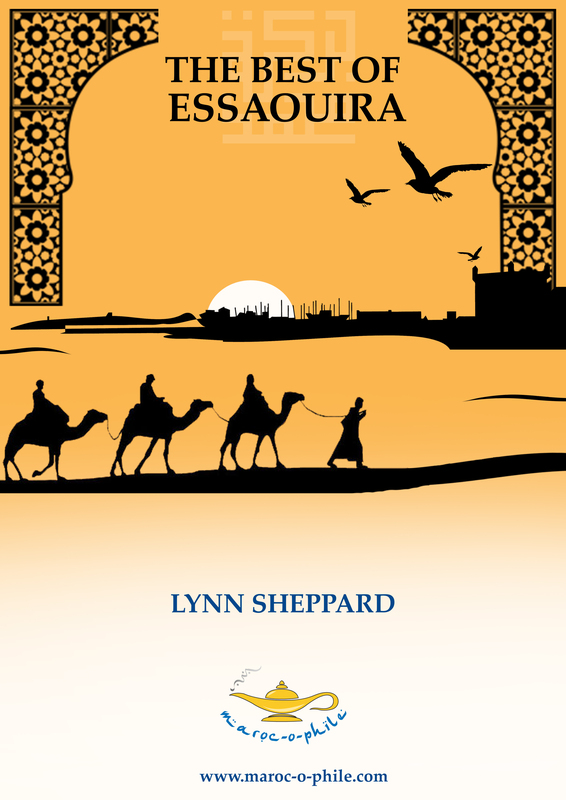 Before I could even think to believe my luck, a well-groomed man approached us and offered us tea – the standard prelude to a Moroccan business transaction. We accepted, and he sent a young boy off to fetch it. I didn’t know where to start. I had doubted I would find tiles I liked; I had never actually dared believe I could find real zellij artisans. How could I design a panel for my kitchen? Could I transport it? Did I have enough time to have one made? And would it be prohibitively expensive? nowhere, like Mr Benn appearing in his shop – appeared Brahim, owner of the phone number on the door, zellij artisan, part-time Parisian DJ promoter and Algerian expat. We got chatting and found we had something in common. I have Algerian in-laws and we quickly swapped life stories in a mixture of French, English and Algerian slang. Brahim seemed to approve of my adaptation to his design and my interest in the art of zellij. We negotiated a price in dirham and pounds which was significantly less than that of the middle man, who had mysteriously melted away. I needed to pay a deposit, and Brahim was about to send another of the ubiquitous small boys off to fetch it from our rented riad when my friend asked if there was a toilet nearby. Tout d’un coup, Brahim was struck by an idea: he would come and get the deposit himself, and on route he would show us the most artistic toilet in Essaouira. We were baffled, but curious, and followed him back towards the Medina. Not far back down the street we had come along, sandwiched between two shops – one of which was a tile shop whose wares we had rejected – was an ancient-looking wooden door, over which, in tiles on the lintel, was inscribed “Dar Zellij”. I was intrigued. We entered through a cool, dark corridor and up a narrow staircase into a small apartment on several floors. Each riser of the stairs featured a tiled frieze in different colours. Brahim introduced us to his partner and their son and showed us rooms they rent out which feature interior design inspired by his native Ghardaia in the Algerian Sahara and the Moroccan lime plaster technique of tadelakt. Inhabitants of Ghardaia are said to believe that “Inhabitants of the house where sun comes in will never see a doctor”, and despite the tall, narrow aspect, the house was full of light and evidence of Brahim’s art. Not least, in both respects, on the small, sunny terrace, where we found a front-runner in the most beautiful toilet in Essaouira contest and a patio design featuring more tiles and mosaic and banisters of wood reclaimed from the beach. Brahim explained that natural materials withstand the elements better than man-made ones, hence his preference for un-varnished wood over metal; and lime, ceramic and terracotta over plastic. My Edinburgh apartment (complete with mosaic and metal lantern) is available for short-term lets. A version of this post was first published at www.mikanqueen.wordpress.com on October 30, 2011. Final photo courtesy of Annette Megaughin-Helder.